War wages between the Galactic Empire and the Free Planets Alliance. With two new brilliant young leaders at the helm, anything can happen in this military space opera. In the 150-year old war of the Free Planets Alliance and the Galactic Empire, commanders Yang Wen-li and Reinhard Lohengramm distinguish themselves in their first meeting. As undefeated Reinhard presses the offensive in the Astarte system, it falls to Yang to salvage the situation and avoid total defeat for his fleet and the Alliance as a whole. In the aftermath of Astarte, Yang is promoted while his friend Jessica, an aggrieved war widow, publicly denounces the Alliance leadership at a propagandized memorial service. Reinhard returns with his close friend and adjutant, Kircheis, to the Imperial Capital to accept promotions for their service at Astarte, and to visit his sister Annerose. Reinhard deploys Kircheis to quell an uprising of decadent nobles. His punitive force must contend with not only an invincible defense grid, but also dissent within the ranks. Meanwhile, Yang has been tasked with the impossible: capture the impregnable Iserlohn Fortress. For this task, he seeks to add a most unconventional force to his 13th Fleet. Yang sets his ragtag fleet against the insurmountable fortress. To succeed, he must exploit unconventional tactics and the internal bickering of the Imperial garrison. Yang captures a fortress that had not fallen to six previous atempts. As the Empire evaluates this stunning loss, Reinhard gains a new and formidable ally, Oberstein. Reinhard is reminded again firsthand of his true enemy: the treachery and corruption rampant within the Empire's Goldenbaum Dynasty. Yang reunites with his friend Jessica, now the outspoken leader of anti-war activists. Their reunion is bittersweet, as he is now the hero of the military she so despises. Goldenbaum treachery strikes at Reinhard closer than ever, this time targeting his dear Annerose. The aftermath of this latest plot only further cements Reinhard's will. With the back of the Imperial advance broken at Iserlohn, Trunicht and the hawks in the Alliance toss aside the notion of a peace treaty, and order an invasion of the Empire. In the face of the massive Alliance invasion, Reinhard counters with scorched earth tactics, withdrawing from the frontier systems without engaging the Alliance fleet. As the liberated frontier worlds chafe against their saviors, Yang detects Reinhard's dual strategies to draw out the Alliance supply lines and turn the populace against them. With the supply lines in shambles, the Alliance is in no condition to weather Reinhard's sudden offensive. Yang must muster the remnants in a desperate defense at Amritsar. As the devastated Alliance fleet limps back to Iserlohn, sweeping changes rock both nations. In the scramble to fill the political void, new factions arise. Disaffected nobles push for supremacy, plunging the Empire into civil war. Goldenbaum loyalist Braunschweig gathers like-minded nobles into the Lippstadt Coaltion. As Reinhard moves to quash the Coalition rebels holed up in Geiersburg, a coup d'etat erupts in the Alliance capital. Yang must now abandon Iserlohn to recapture the capital. Reinhard's push to fortress Geiersberg must first fight through stiff opposition. The Coalition ploy to take the weakly defended capital is met by Mittermeier, the Sturm Wolf. Yang must turn his guns on former allies at Doria. Jessica, meanwhile, leads a Citizens' Rally to oppose the coup on Heinessen as the Yang Fleet closes in. Demoralized after the losses at Rentenberg and elsewhere, the Coalition shows signs of fracturing. Littenheim, second in command, rides out unbidden to engage Kircheis. Desperate after mounting losses, Braunschweig orders the unthinkable on Westerland, his own territory. As Reinhard races to stop it, Oberstein urges pragmatism instead. E24 | Victory, For Whose Sake? Yang arrives over Heinessen, where he must contend with a Fezzanese defense grid, which simultaneously defends the capital world and holds it hostage, to end the costly coup. With the fall of Braunschweig and Geiersberg, the civil war is over. Kircheis returns to Reinhard's side, where he questions him on the necessity of the tragedy at Westerland. The last of the Coalition remnants attempts a desperate strike on Reinhard, under pretense of surrendering Braunschweig's remains. Oberstein is quick to name the true culprit. A new year brings new conflict as Julian, part of a routine patrol out of Iserlohn, meets and scuffles with Imperial forces. Meanwhile, Fezzan views this as a new opportunity. The border skirmish in the Iserlohn Corridor comes as Reinhard, now the de facto leader of the Empire, realigns his command staff. The Fezzan Dominion, once content to let the balance of power between Empire and Alliance stagnate, radically shifts its policy now that the Goldenbaum dynasty is ended. As the Empire prepares for the continuation of the war, a recurring problem raises its head: insurmountable Iserlohn. A daring plan is drawn up, centered on Geiersburg. Yang is summoned to the capital for an inquiry by the defense committee. While he suffers the obviously political grilling, Geiersburg suddenly invades the Iserlohn corridor. In an astonishing feat, Mobile fortress Geiersburg invades at the worst possible time. Meanwhile, Iserlohn's commander stuck on Heinessen enduring an inane inquiry. As Yang races back, Geiersburg unleashes its massive firepower upon the once-impenetrable Iserlohn, which must now win without its brilliant commander. With effort, ingenuity and more than a little bluffing, Iserlohn has been able to force a stalemate against Geiersburg. Yang's arrival finally breaks the deadlock. Mittermeier and Reuentahl arrive to defend the retreating Imperials. The battle is over for now, but Fezzan has more in store for the Empire and Alliance. 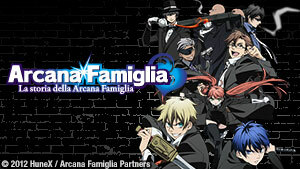 Detecting Fezzanese infiltration into the capital and sensing an abduction plot, Reinhard requests Hilda to convince his sister to accept a protective detail, just in case. The subject of the plot is the child kaiser, the last Goldenbaum. Fezzan conspires to have the child seek asylum in the Alliance, which gives Reinhard the perfect casus belli. The kidnappers flee to Trunicht to establish a government-in-exile in the Alliance, prompting Reinhard to declare war, all as Fezzan planned. But who is really using whom? Reinhard declares his intent to rescue the Goldenbaum kaiser. Julian is assigned to Fezzan. Yang knows Iserlohn isn't the only path to the Alliance, and agrees to the order. As Julian sets out for his new post, he reviews the long and bloody history of the Empire and the Free Planets Alliance. Reinhard's invasion plans, to bypass Iserlohn by invading through the Fezzan Corridor, exceed even Fezzanese expectations. But Yang has Julian in Fezzan for this very reason. Yang has to adjust for the absense of Julian, who, as military attache, tries to disrupt the Empire's movements through Fezzan space. Operation Ragnarok is now underway. Ragnarok opens in Iserlohn as Reuentahl launches a fierce attack with a huge fleet. Seeing through the feint, and worried for Julian, Yang is hard pressed to stay positive. Ragnarok enters its second phase as Reinhard's feint is revealed and his fleet sweeps through the demilitarized Fezzan Corridor. Julian must now escape amidst the chaos. With Fezzan in Imperial hands and completely open to Alliance space, there is panic on Heinessen. As a defense is cobbled together, Bucock suggests a daring gambit to Yang. With the Empire on the doorstep at Fezzan and Iserlohn strategically useless, Yang opts to abandon the fortress, but must first evacuate the civilians as he did at El Facil. Julian plots to escape Imperial-occupied Fezzan and secures transport back to Alliance space. When discovered by an Imperial cruiser, Julian recalls a tactic his mentor used. The Imperial fleet pours out of the Fezzan corridor, bent on taking the Alliance capital world, Heinessen. 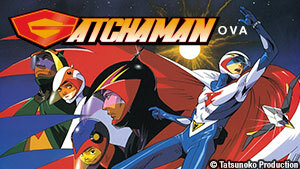 Bucock draws the last line of defense in the Rantemario system. Reinhard's invasion stalls at Rantemario, so he withdraws to establish a foothold on Urvashi. Yang and Julian reunite on Heinessen before setting out to confront the Empire. Having lost the Imperial supply line, and frustrated by Yang's guerilla tactics, Reinhard settles on a plan to lure him out and eliminate him. Hilda has other plans in mind. To break the invasion, Yang must crush the head of the snake: Reinhard. Seeing the invaders dispersing in search for his fleet, he drives straight for Reinhard, into a trap. Spurred on by the mayhem he'd wrought and the future that lay before him, Yang plunges through Reinhard's seemingly unending defenses, seeking a one-on-one decisive duel. Yang breaks through the defense lines and targets the Brunhild! Hilda puts her plan into effect, and suddenly the Battle of Vermilion ends. Though the true victor at Vermillion may never be known, one thing is clear: the war is ended. Reinhard at last meets Yang face to face, before returning home for coronation. Reinhard celebrates with his staff and focuses on the management of issues within the Empire. Meanwhile, Frederica and Yang enjoy their private time. On the long trip to Earth, Julian and Poplan review the history of the planet from 2039 AD to 2801 AD, delineating how Earth was forgotten. Emperor Reinhard announces his new cabinet. Through a personal favor to Hilda's father, the new secretary of state, Reinhard agrees to visit Künmel. 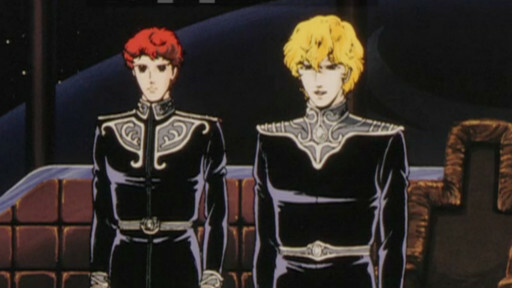 Oberstein informs Reinhard the he needs to choose a consort, while Reuenthal confides in Mittermeier. Julian, Mashungo, and Poplan head to the Earth Cult temple. On Odin, Reinhard reviews the secret history of the past Emperors of the Empire. On Heinessen, Lennenkanpt is uneasy and increases security. To comply with the Treaty of Barlat, Alliance vessels are being decommissioned. 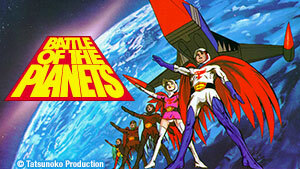 However, what will happen when a Merkatz freedom fighter fleet launches an attack? When Prime Minister Lebello visits him in prison, Yang makes a startling realization about the Alliance. Yang debates Lebello on the state of the nation, and the Prime Minister agrees to an exchange. Meanwhile, the Imperial Consulate is infiltrated. While attempting to gather any useful data they can, Julian and his friends must work with Imperial forces against the Terraists. Imperial admirals discuss the unverified accusations against Yang, while Yang considers the miscalculations leading up to his capture as well as the next steps needed. Rumors abound regarding the location of Yang and Lennenkanpt, while the planet El Facil tries to recruit Yang. Yang decides his next action depends on the Empire's next move. Reinhard considers an interesting concept, while Hilda regards the different power groups at play. 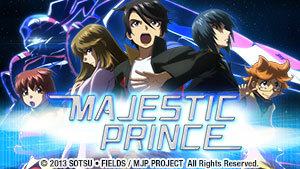 Reinhard realizes that the Galactic unification of humanity is vital. 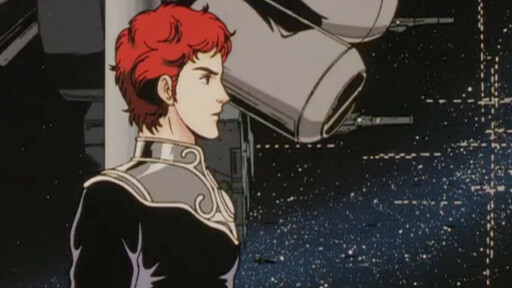 Reinhard announces the situation to all citizens within the galaxy, effectively cutting Yang off from allying with the Alliance government. The Alliance military is sending extra supplies, personnel, and ships to Yang. As Yang and his fleet head to El Facil, the planet plans to declare a new system of government. The Imperial forces head deeper into Alliance territory, and Julian and friends arrive on El Facil. Yang and staff discuss the next step: retaking Iserlohn Fortress. Military campaigns on both sides are on hold to celebrate the new year. However, Admiral Lutz starts receiving conflicting orders that may cost him everything. The Imperial fleet accepts Bucock's challenge and sends their ships to meet in the Mar-Adetta system, only to find themselves in an unexpectedly difficult battle. Bucock's fleet advances while being pursued and is surrounded by others. Reinhard panics that he could have underestimated a vital piece of the puzzle. The news regarding Fleet Admiral Bucock reaches Iserlohn. The Yang declares a mourning period for Bucock, while the Alliance suffers a devastating blow. Reinhard considers when and how to take El Facil and Iserlohn. Meanwhile, at Iserlohn, a troubling discover is made. Reuentahl is arrested by the Imperial police under suspicion of overthrowing Reinhard, but could there be something else behind this accusation? A huge fire breaks out on Heinessen, causing massive property damage and casualties. Reuentahl is given a change of position. Reinhard and his senior staff launch from Heinessen towards Iserlohn. During a celebration on Fezzan, a terrorist bombing occurs. Bittenfeld sends Iserlohn a message, advising Yang to surrender. What will the answer be when Iserlohn responds to Bittenfeld? Wary of the reply, Bittenfeld takes a cautious fleet formation. Yang takes advantage of the communications jamming and the Imperial forces' superior numbers. As the battle continues, Attenborough's fleet prepares a trap. When the Yang fleet approaches Reinhard's flagship, who will come out victorious, if anyone? The Imperial fleets adopt a rotational tactic, but with their fewer numbers, Yang's fleet is succumbing to exhaustion. 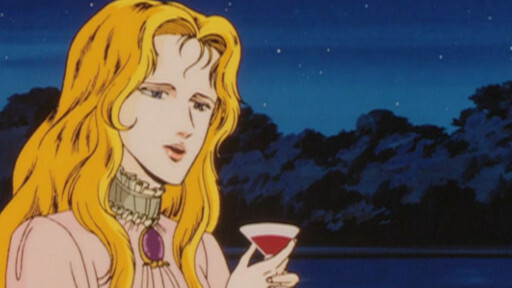 Reinhard confides in Hilda that his memories of Kircheis motivate him towards ceasefire talks. Yang decides to accept the ceasefire talks, but disaster awaits him. The crew of Iserlohn enter mourning, and Julian gives Frederica the news. New leadership is decided by Yang's remaining staff, while unrest within Iserlohn grows. Devastated at the news of Yang, Reinhard, while still sick, continues autocratic reforms, realizing he is undermanned on the political front. While many admirals within the Imperial Military are wary of Lang's influence, Reinhard officially orders all governmental employees to move to the new Imperial capital. Reuenthal settles in as the new governor of the old alliance territories. Julian ponders how Yang became the personification of the spirit of democracy. 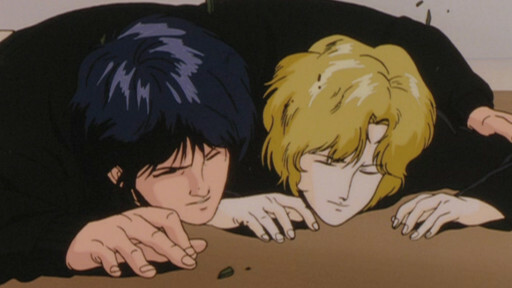 In his own way of grieving his rival, Reinhard throws himself into administrative tasks, eventually pondering the pact he made with Kircheis and Reuentahl. Julian ponders his next step and considers a plan to push the Empire towards constitutional government. Frederica remembers the history of her relationship with Yang. Emotionally taxed after a guilt-ridden assassination attempt, Reinhard asks Hilda something that may change their relationship forever. A memorial service turns into a bloody riot and Reuentahl looks for the instigators. Meanwhile, Terraists have an insidious plan for Reinhard. 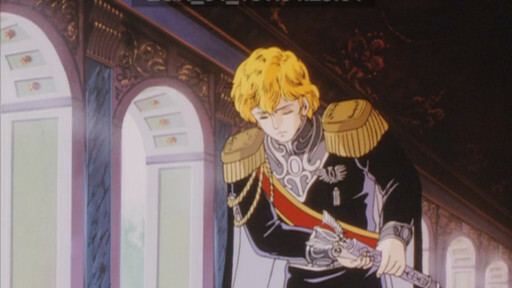 Reuentahl decides to test Reinhard's belief in rumors that he is planning to assassinate him, effectively inviting Reinhard as the rumors suggest. Reinhard visits multiple locations on Urvashi only for his entourage to be attacked by soldiers and snipers in the woods. When word of the assassination attempt reaches Reuentahl, he orders his subordinates to restore order and find Reinhard, only to come to a painful realization. A letter from Reuentahl explaining Lang's danger infuriates Reinhard. Mittermeier considers killing Lang, but he may not need to. E95 | Clash of the Twin Jewels! Murai arrives at Iserlohn as Reuentahl's messenger. Julian decides what to do with Reuentahl's offer. Meanwhile, Reuentahl and Mittermeier try to resolve the situation. Mittermeier's early arrival throws a wrench into Reuentahl's tactical plans. Mittermeier attempts to use quick fleet movement to prolong the battle and limit casualties. Retreating, Reuentahl's fleet takes a brutal beating from within, and Reuentahl's flagship takes a hit. It will take all of Reuentahl's will to survive. Reuentahl returns to finish up loose ends, and Mittermeier arrives too late, as that particular political scheme claims multiple lives. Mittermeier and the other admirals return to Fezzan and are debriefed by Reinhard. Mittermeier meets with Hilda to discuss the adoption of Reuentahl's child. Reinhard publicly announces his marriage to Hilda at the Imperial new years party. Later, as the wedding is underway, Oberstein interrupts to report riots on Heinessen. With the riots throughout Heinessen caused by the shortage of basic goods, Julian considers if it would be the right time to liberate old Alliance territories. Wahlan orders his fleet to investigate after learning of fleet movements inside the Iserlohn corridor. Grand Duchess Grünewald visits Hilda and the ill Reinhard. The problems of the insurgency and Iserlohn fleet remain, and Oberstein is chosen to handle them. The rift between Oberstein and his admirals causes fights between their respective forces. Iserlohn gets the news of the trouble on Heinessen, causing a decision to be made. A riot breaks out at Rugpool prison, where rioters are somehow well armed. 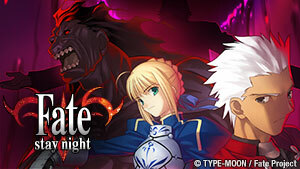 Bittenfeld's lancers fight with the military police, but Reinhard may shock everyone. Terraists attack multiple critical infrastructure locations on Fezzan, and an assassination attempt is made on Hilda and Annerose. A refugee ship being chased by Imperial ships runs into the Julian fleet. The Julian fleet makes the decision to engage the Imperial ships. The casualty count rises. Imperial doctors reveal Reinhard's diagnosis to his admirals, and he prepares to meet with Julian, should the other leader make it to his room. Julian, Poplan, and the remaining soldiers return to Iserlohn. Despite the victory of a truce, many close members were lost in the fight. Reinhard hopes his son can have a friend equal to Kircheis. The Empire in his Hilda's hands, Reuentahl's son reaches for the stars, echoing Reinhard's ambition.